Cruising continues to become increasingly popular as more people discover this amazing way to travel the world. With a range of stunning destinations and various luxurious liners to choose from, going on a cruise is truly the experience of a lifetime. 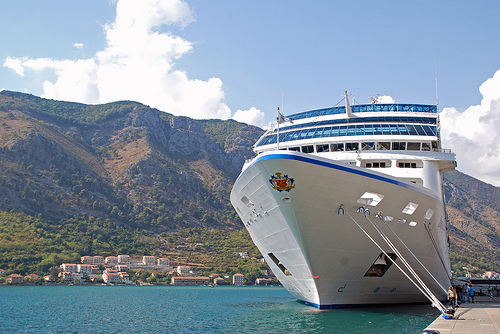 Here are 4 of the top cruising destinations for the 2013 season. Summer in the Caribbean is packed with travellers all flocking to visit this stunning cruising destination. If you prefer not to compete with the crowds, try taking a cruise between January and February before the summer season has truly kicked off. The string of islands that make up the Caribbean all offer something unique for travellers, from the glamorous casinos of Aruba to the adventurous options in Jamaica. You can plan your itinerary to create the perfect cruise for you, whether you want to soak up the sun on the beach while sipping a cool cocktail, or go for a hiking exploration to discover the rich array of flora and fauna. The Caribbean has long since been a popular cruise destination, and it continues to defend its title in 2013. Travelling to the Mediterranean conjures up images of rich coloured buildings soaking up the hot sun, lush vegetation sprawled along the coastline and miles of perfect beaches and stunningly clear waters. However this isn’t just a daydream; the Mediterranean is one of the most popular cruise destinations in the world, and for good reason. The history of the coastal towns is astounding, and with most cruises lasting from 7-21 days, you’ll have plenty of time to explore everything that the magnificent Mediterranean has to offer. Exotic, exciting and unforgettable are all perfect ways to describe the magic of Hawaii. With its sleepy surfing towns, majestic volcanoes, stunning waterfalls, pristine beaches and rolling farmland, it’s no wonder that Hawaii is one of the top cruising destinations for 2013. The wealth of indigenous Hawaiian culture is fascinating, and a tour will provide you with unbeatable local knowledge from the people who have always called the Hawaiian Islands home. One of the real drawcards for this cruise is that the views are simply spectacular, whether you’re on the shore or aboard the ship. The South Pacific presents a myriad of amazing experiences waiting to be explored. Let your thrill seeking appetite be sated with extreme sports in New Zealand, discover the sheer natural beauty of Vanuatu, or take an unforgettable Australian adventure. Whether you’re looking for tropical island luxury, cultural enrichment or even just a spot of shopping, there’s a cruise in the South Pacific to suit your needs. Falling in love with the amazing islands of the South Pacific is easy, it’s leaving that’s the hard part! Going on a cruise is all about doing it in style. When it comes to the ultimate in sophisticated luxury and elegant decadence, you simply can’t go past Cunard cruise line. Recognised the world over as being the most distinguished ships in the business, cruising with Cunard is a sumptuous experience that you will never forget. Discover these incredible destinations and make your cruising dreams come true in 2013!